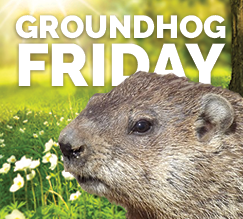 We give a rundown of repeated claims in our “Groundhog Friday” feature. This week’s edition includes claims on jobs, Iran, the trade deficit and income inequality. Follow the links to our original stories for more on each claim. Repealing the Affordable Care Act wouldn’t “save another 2 million jobs.” Trump’s false claim is now a years-old twisting of the nonpartisan Congressional Budget Office’s analyses of the ACA. The CBO has estimated a decline in the amount of labor workers choose to supply — not a reduction in the number of jobs — in response to mainly the insurance-expansion provisions of the ACA. CBO’s December 2015 report, which Trump’s campaign cited when he made this claim in August, describes workers deciding to work fewer hours or retire earlier than they otherwise would mainly in response to the law’s income-based subsidies and other coverage-expanding provisions. The report says it all amounts to a reduction in the supply of labor equal to 2 million full-time equivalent workers in 2025. It’s not a loss of 2 million jobs. We’ve written about Republicans distorting CBO’s analyses on this topic since 2011. As he has done when he wildly inflated the unemployment rate or exaggerated the unemployment of African American youth, Trump wrongly implies the number of people not in the labor force are all unemployed, or “jobless.” They’re not. They include retirees, teenagers, stay-at-home parents, and anyone else age 16 and over who doesn’t need or want to work. To be counted as officially “unemployed” by the Bureau of Labor Statistics, a person without a job must have tried to find employment in the four weeks before the BLS survey is taken. The labor force includes everyone who is employed and unemployed. So, those who are “not in the labor force” aren’t working and haven’t looked for work in the past month. That number was 94.4 million as of August — a bit higher than the figure Trump uses — but of those individuals, only 5.8 million said they want a job, according to BLS data. The labor force participation rate has been going down for years, but as we have written before, the change is mostly due to demographic factors, such as the retirement of post-World War II baby boomers. The unemployment rate, meanwhile, is 4.9 percent. Trump made this claim in his convention speech, but as we said then, Iran was already on a path to nuclear weapons before Clinton became secretary of state in January 2009. The disagreement between the candidates is over the Joint Comprehensive Plan of Action, which is designed to lengthen the “breakout” time, or the amount of time that it takes to assemble a bomb. The plan has lengthened that time: Prior to the agreement, it was thought to be months, but now it is more than a year for at least 10 years, according to the nonpartisan Congressional Research Service. Critics like Trump say the delay is only temporary. “While the agreement lengthens Iran’s breakout time today, restrictions on Iran’s program begin to lift within a decade,” the American Israel Public Affairs Committee said in July, marking the one-year anniversary of the deal. Clinton supported the deal with Iran, but left the State Department in February 2013, more than two years before the agreement was struck. As we noted last month, this claim is based on outdated Census data from 2014. The Trump campaign reached this figure by citing annual Census data for inflation-adjusted median household income. At the time of Trump’s comment, the most recent estimate from the Census was that real median household income was $53,657 in 2014 – down from $57,724 in 2000. That is where the “more than $4,000” figure comes from. But Sentier Research provides more up-to-date household income estimates using the monthly Current Population Survey, a different statistical series from the Census Bureau and Bureau of Labor Statistics. Sentier’s most recent report placed the inflation-adjusted median household income at $57,190 in July — slightly below the $57,802 it was in January 2000, which is when this statistical series started. That’s a difference of just $612 — not more than $4,000. On Sept. 13, four days after Trump’s comment, the Census released its 2015 estimates of income and poverty in the United States. It determined that median household income was $56,516 last year, which is only $1,274 below the inflation-adjusted figure for 2000. The talking point was accurate for 2009 to 2013, based on the work of economist Emmanuel Saez of the University of California, Berkeley. But Saez’s most recent figures show that the top 1 percent of families captured 52 percent of the income growth from 2009 to 2015. That’s also the case for 1993-2015.